Let me give you all a bit of background before we commence. Firstly, I thoroughly enjoy old-school games, that’s a given. Let’s just say that for me, the question as to whether I enjoy writing for this website or not is like asking if water is wet. What I also thoroughly enjoy is independently-made games that have a heavy retro feel. One that comes to mind is VVVVVV (or “The Letter V Six Times”). UPDATE: An announcement was made from the developer via twitter in late September that VVVVVV would appear on the Australian 3DS eShop on October the 4th of 2012. Originally released in 2010 for OSX and Windows, VVVVVV is a platform game, although the coined term for the style of game would be Metroidvania style (in the sense that you have an enormous map to work with) however unlike other Metroidvania games there are no weapons or power-ups in this one. The primary enemy is the spikes on the walls and floors (hence the game title). It’s a fantastic game that’s very frustrating challenging with a gorgeous soundtrack by SoulEye. You’ll either pick up the feel of the game controls pretty quickly or get frustrated and throw your gaming device or peripheral across the room. I’d advice not do it though, because you’ll want to play and finish this game. 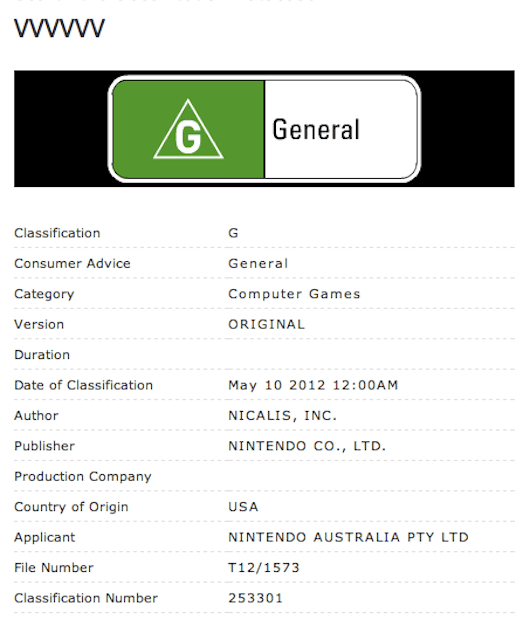 It was listed and classified on the Australian Classifications website back in May of this year, but still no release. The good news however, is that there is a way to purchase it on your Australian-purchaed 3DS or 3DS XL, but take caution with doing this as money is involved. I take no responsibility for any losses or faults that may occur either. I only share this as this is exactly what I did. 1. Change your region in your profile under the settings to United Kingdom (then either Ireland, Scotland or United Kingdom). 2. Proceed to the eShop and accept all agreement prompts you get. This is where things may get concerning. 3. The eShop will notify you that if you have existing credit on the Australian store, you won’t get it converted from Dollars to Pounds. Instead you get £0.00 to begin with. 5. Finally start searching in the eShop and grab those games. Keep in mind that when you close the store app your region is still in the UK, so make sure you set it back to Australia. There we are. 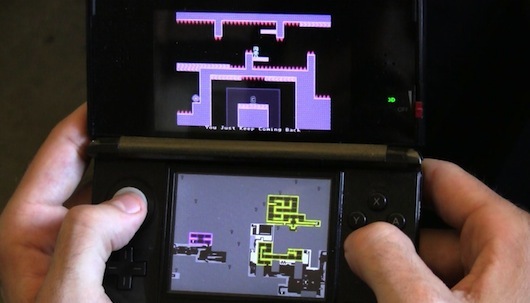 Enjoy VVVVVV on your Australian 3DS/3DS XL’s!